With the big game coming up, these are a delicious, easy appetizer for your football rooting fans! What team are you rooting for? 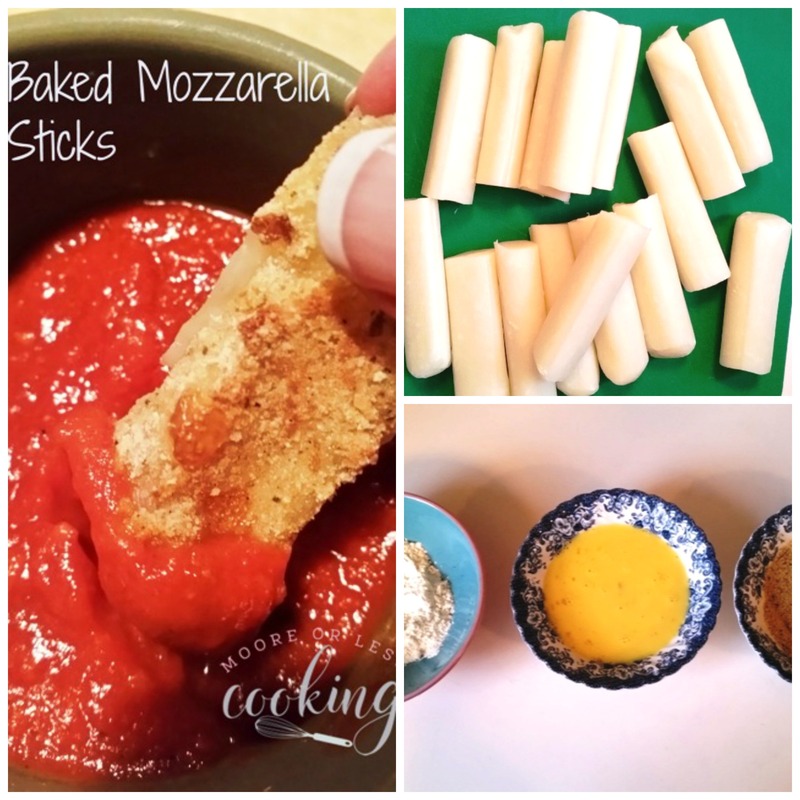 Easy cheesy baked mozzarella sticks dipped in a wonderful warmed marinara sauce. Cut the cheese sticks in half. 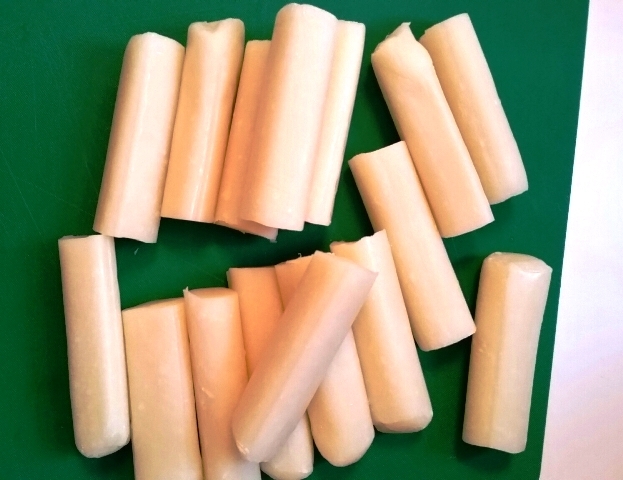 Unwrap string cheese and cut in half. Put equal amounts of panko and Italian bread crumbs in a bowl and mix together. Beat 2 eggs and a splash of milk with a whisk or fork. 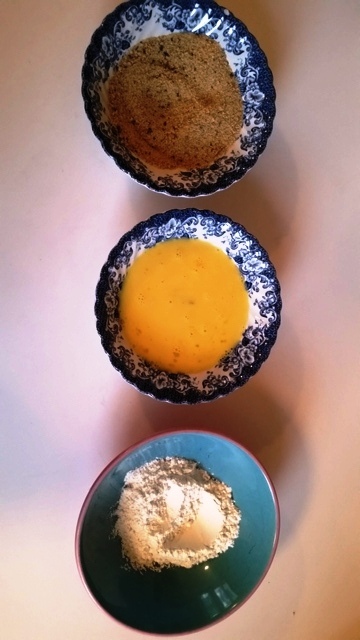 Put flour in a third bowl and roll each piece of cheese in the flour. Dip the flour coated cheese in the egg mixture and then coat with the bread crumb mixture. 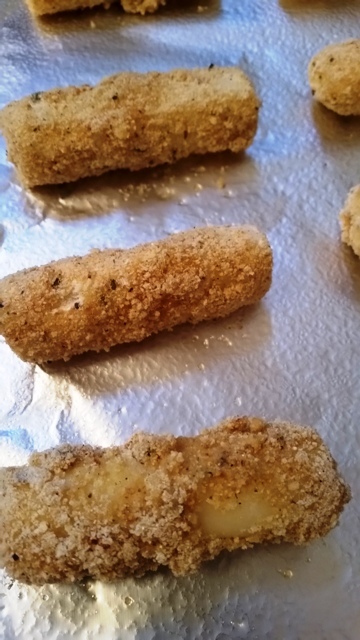 Place mozzarella sticks in the freezer for 1 hour. Remove the mozzarella sticks from the freezer and place them on a baking sheet. Melt butter in the microwave and drizzle it over the mozzarella sticks. Bake at 400°F for about 8-10 minutes. 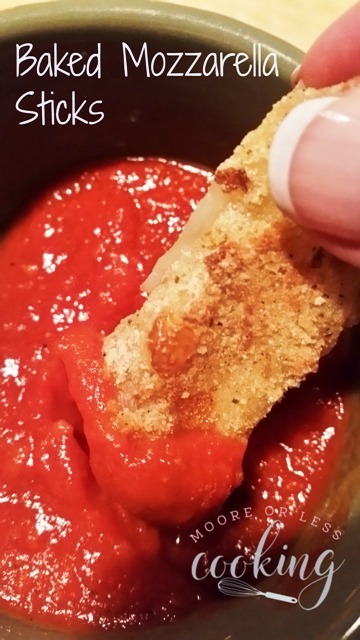 Dip mozzarella sticks in warmed marinara.